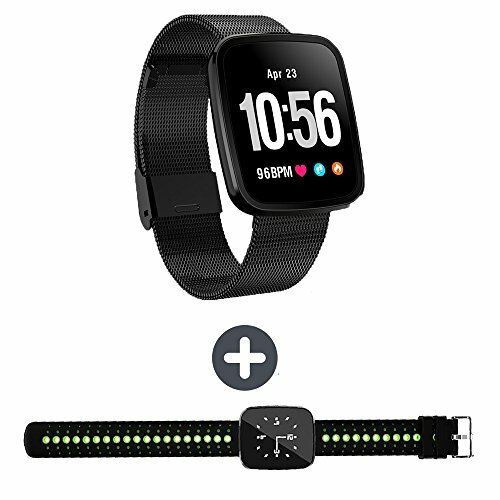 Additional features: Steps counter, Time, Pedometer, Calorie burning monitor, Walking Distance Tracker, Sport time, Sleeping monitor. [Two types belt] This black steel bracelet comes with another silicone belt, so you can choose different belt as you like on some occasion. [IP 67 waterproof & long standby watch] You can wear it when wash face or take a shower. Watch with lower power consumption,no worry about power off when you away home go hiking, mountaineering or travel. [Master your sleep quality] Wear the bracelet when sleeping, you can analyze your sleep quality according to the reports which automatically recognized by the bracelet. If you have any questions about this product by EnIceHime, contact us by completing and submitting the form below. If you are looking for a specif part number, please include it with your message.